Being a homeowner, whether new or old, can seem a daunting task to anyone. It’s an experience that is both exciting and terrifying but one well worth it for many. Along with all of the new challenges of your new home comes a key part of homeownership, the inevitable need to work on projects. Whether these jobs are necessities for you or just diy projects you will still likely need to work on these things at some point. You might feel overwhelmed by the sudden realization that you’re the one who will need to resolve these issues. Or you might be excited to tackle a new diy project. 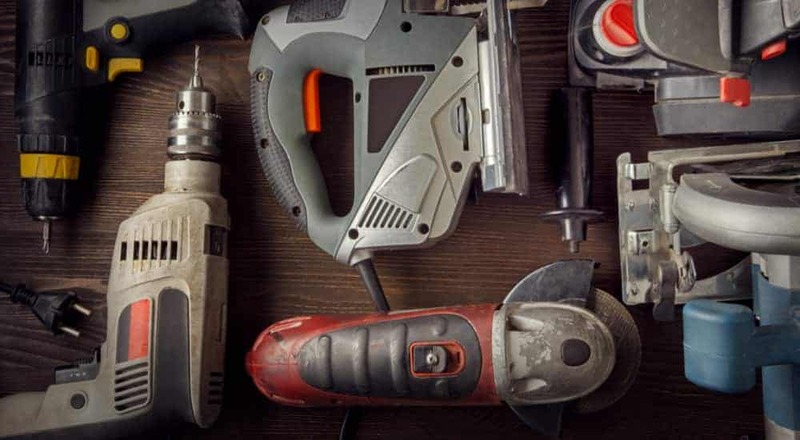 No matter what your intention or purpose, here we will be breaking down the must have power tools for homeowners that will make your tool kit more well rounded. Cordless drills are a very common tool that a lot of people immediately think of when talking about DIY or home projects. It can be considered a staple in the average homeowners tool kit and is a very handy item to have in your arsenal. 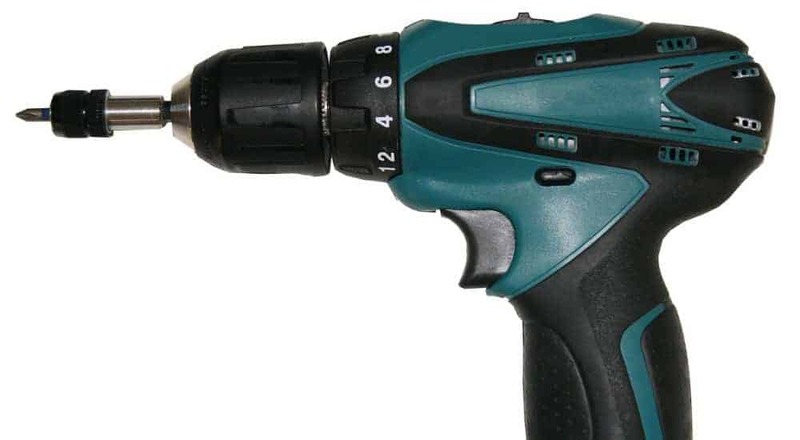 Cordless drills are drills like any other designed to drill into materials. They are manufactured with a cordless design that makes maneuverability easier for anyone. Instead of the cord, they are powered by a battery that can be recharged quickly and efficiently. 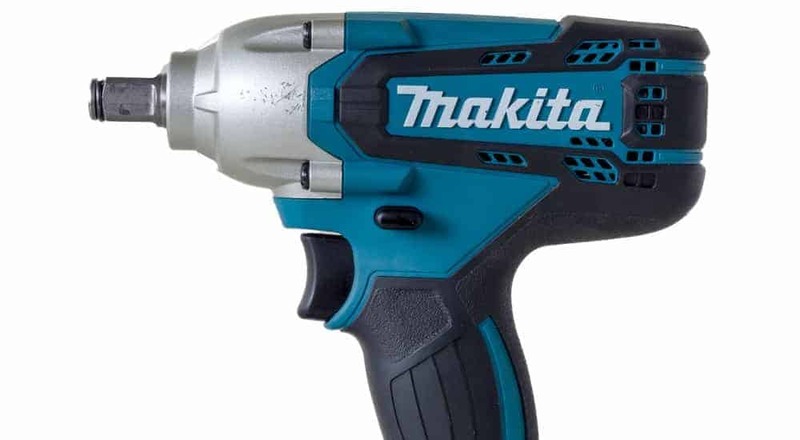 These drills are seen as ideal for those wanting the ability to work in tighter spaces or who want to avoid the hassle of the cord that these tools corded counterparts possess. A circular saw is considered one of the most versatile in the saw family. It is produced with more general projects in mind to work for a wide range of customers to suit their needs. Circular saws cut in a circular motion with a round blade that is lined with toothed edges. These saws are electric and produced with a handheld design for dynamic movement when working on tasks. The handheld design allows you to bring the saw to your project which can be good for the ones you don’t want to or can’t move. Circular saws create cross cuts and rip cuts and are seen as a well rounded tool for your jobs requiring saws. If you own a house, chances are you have a yard that needs to be maintained with a lawn mower. And taking care of that yard is a really important part of home maintenance. A mower can be classified as one of the most basic homeowners need when it comes to power tools. They are used to mow your yard and maintain it. There are a few options for this that you can use depending on a number of factors to best suit your needs. Push mowers may be the first thing you think of in association with mowers. They are the most basic and straightforward of options. They are mowers that you walk behind and “push” to make them move. Then the user just has to continue pushing and steer them to mow their yard. Now, what is a self propelled mower and how is it different from a regular mower? Self propelled mowers, as you may have guessed, self propel forward and require less manual effort on the part of the operator. They require less exertion for the owner and cut grass with an ease that your regular mower might not possess. They are seen as the perfect middle ground between regular push mowers and driving mowers. But that’s not to say you can’t use a self propelled mower interchangeably with the others depending on your circumstances and how you like to work. Riding mowers are usually for larger yards that are too much for a push or self propelled mower to handle. They are optimal for comfort when contemplating mowing large areas. The require no physical “push” and instead of being steered by manually turning the mower, they use a steering wheel to control. Another valuable tool for any homeowner is the nail gun. It seems like you can’t do any project without needing to work with nails and because of this the nail gun is an obvious choice to add to your power tool collection. Oscillating tools are a bit of a catch all. They are often multi tools that serve a number of functions including sawing and sanding among other things. They’re smaller tools, handheld even, that are more for the intricate details of the work. They allow the user to quickly finish off any work and do so without the hassle of bigger and bulkier options. If you’re working on a small job, this is definitely an option to consider. Or if you just want a tool that is less heavy to move and has easier maneuverability than this could be the one for you. Like the mowers, hedge trimmers are all about property maintenance. They offer a more convenient way for the homeowner to keep up with all the yard work in the surrounding area. 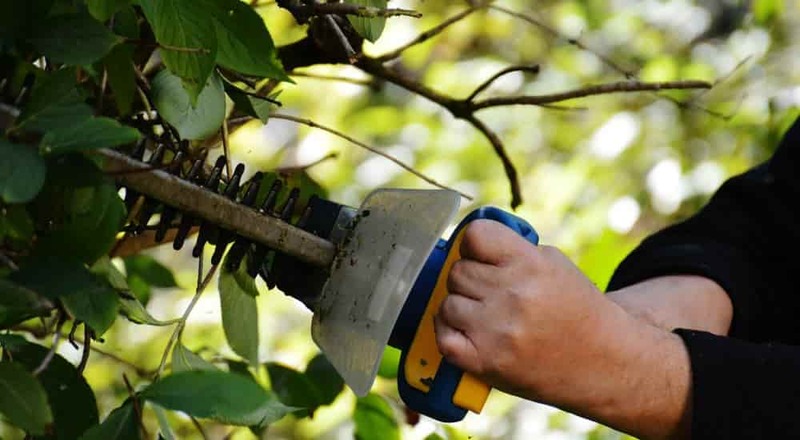 Hedge trimmers are responsible for trimming hedges, as you may have already guessed. They help the homeowner maintain their property by allowing you to keep control of the foliage around your house. 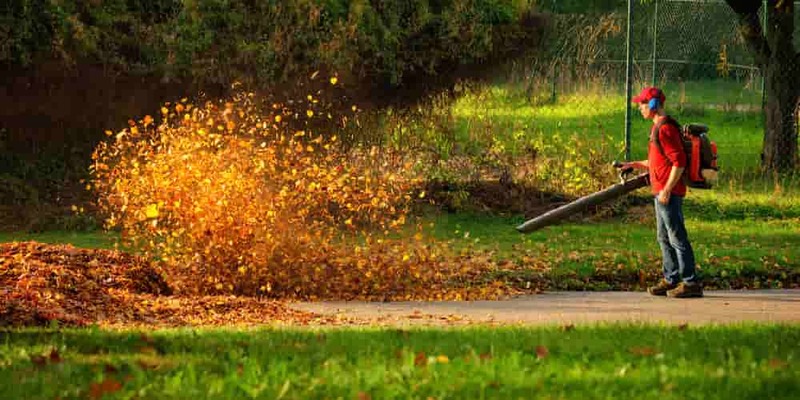 Leaf blowers do exactly as their name suggests in a rather simplified explanatory way, they blow leaves off of surfaces such as patios or walkways. They are a very handy tool for simple maintenance of aesthetics and practicality. Leaf blowers work by expelling air from the opening in order to move debris or obstacles from a path or chosen area. This can be very helpful for quickly cleaning up a space around your home, especially in the fall when the leaves are falling all over. This may be the sander you’re more familiar with. They are one of the more common options in terms of sanders. Orbital sanders are a more compact option for those not necessarily looking to work on the big jobs. These sanders are easier to guide with less effort and more lightweight than others of its kind. This is one of those tools everyone should at least consider purchasing. Electric Screwdrivers perform the same basic function as their manual counterparts. They both perform the task of tightening and untightening screws. But, with all of this in mind, they are very different in terms of how they execute the goal. They run on an electric power source and vary in terms of whether they are corded or cordless. These screwdrivers are ideal for maximum power with less exertion on the part of the operator. They simplify the task at hand. Heat guns have a variety of uses that can be handy for many different projects. They safely produce heat in a contained way that allows you to use them for a variety of things. One of the most common uses for a heat gun is softening adhesive along with shrinking things like wrap and tubes. Because of this general design, they can be useful for most tasks a homeowner might encounter. Another tool important for any homeowner to own is the angle grinder. They’re a great addition to your collection and have a couple of uses which can help you tackle multiple projects. 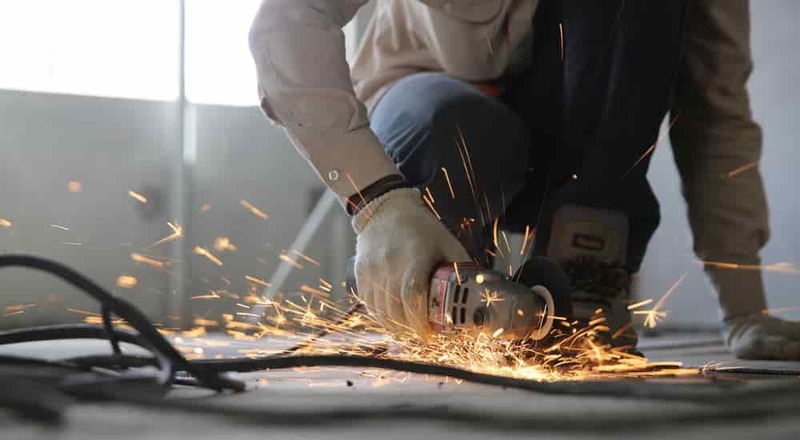 There are four major types of angle grinders: electric, gas-powered, pneumatic and cordless angle grinders. Angle grinders grind materials like tile and polish them. They are used to get rid of excess parts on a material. They are handheld and provide easy maneuverability. These tools can function on a variety of power sources from electric to air compression. And finally, to end this list, we’re going to finish off with a tool that is very common in any project you may want to undertake. The impact wrench. The impact wrench is basically a high powered wrench, sounds great right? Impact wrenches are very popular in this day and age, and they really take the grunt out of everyday jobs. They are an amazing addition to anyone’s tool kit and really earn there money in terms of performance and quality. These wrenches serve the purpose of turning things like bolts. But, unlike regular wrenches, impact wrenches have more power and require less manual effort because they run on power instead of labor. Generally they are powered by electricity which allows the operator to only need to press down on the trigger in order to make them work. Homeownership really does come with a whole new set of challenges and responsibilities. It is an adventure that requires quite the plunge no matter if you’re a first time buyer or a seasoned pro. With all that encompasses it can sometimes force you to become your own handyman and repair service at times without maybe all the knowledge you would like to have. 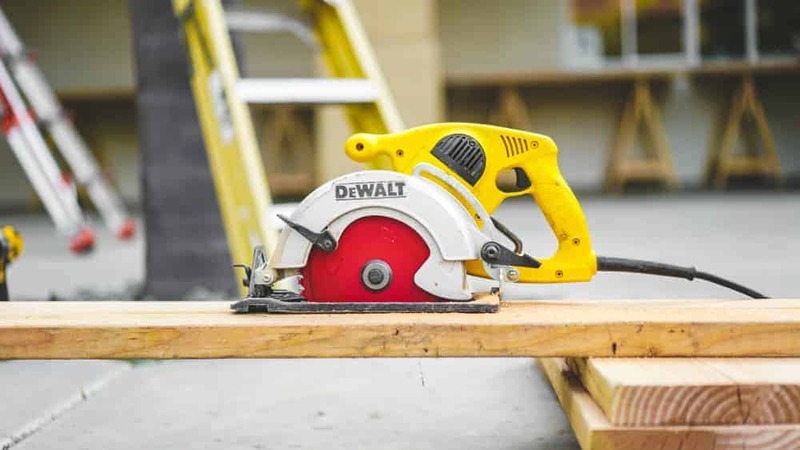 It might not be glamorous but we hope that with this list of the must have power tools for homeowners that you’ll now know what you need to create a well rounded tool kit that any professional would be proud of. Have a favorite tool that you think should have made the list? Feel free to let us know.